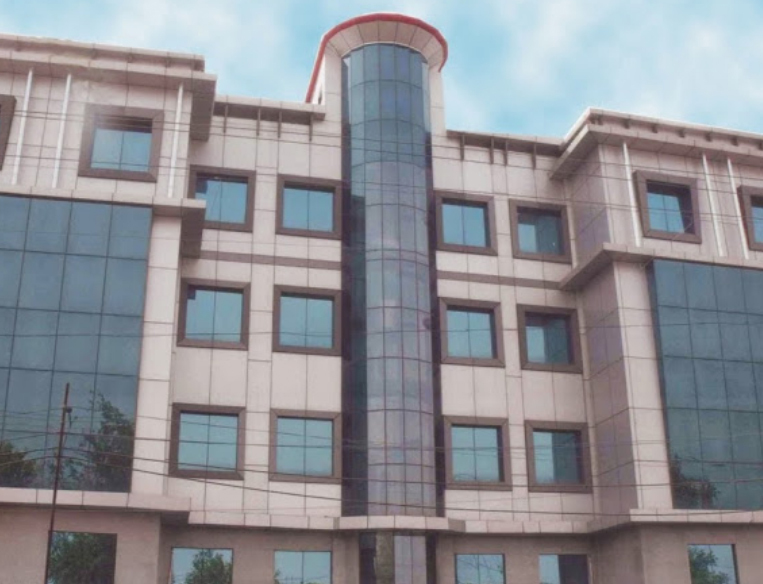 Know about Best PGDM College in Delhi – SSIM – Sri Sukhmani Institute of Management Dwarka, which is rated amongst the Best B Schools in Delhi and Pioneers in Education Industry in India. 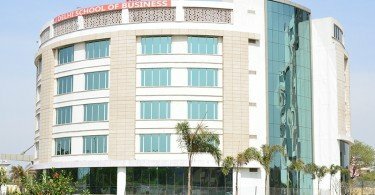 SSIM – Sri Sukhmani Institute of Management Dwarka was established by Sri Sukhmani Group of Institutions and provides PGDM programme at it’s Dwarka campus. The PGDM program at SSIM Dwarka has been specially designed to meet requirements of Indian industry, which has been duly approved by the AICTE, Ministry of HRD, Govt. of India. SSIM Dwarka has persistently built on its unique strength of imparting high-quality PGDM course through pedagogic innovations, encouraging business-academia interface and emphasising on its twin objective of Influencing Practice and Promoting Value based growth and development. Since, SSIM Dwarka has acquired the reputation of meeting societal needs of under-managed sectors by offering unique, purposeful and relevant programs. SSIM displays a differentiated approach across the entire academic flow of activities in higher management education. Sri Sukhmani Group of Institutions ventured into the field of education 42 years ago and within 3 decades the group has become peerless in professionalism and unsurpassed in quality. Firmly believing in the saying that “Education is the most Powerful Weapon” which can be used to change the world “. We at SSIM Dwarka fully subscribe to the view that education is the cornerstone to economic development and strength of Indian masses can be channelized by education alone. 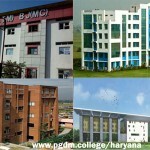 PGDM Programme at SSIM Dwarka has been designed to mould the leaders and managers of tomorrow. We encourage students to get in-depth of all the projects, followed by comprehensive research and presentation. Such initiatives are a part of our innovative pedagogy that help not only build the right managerial knowledge and skills, but also the right attitude of students for sustainable success in professional and in their personal life. “An acknowledge temple of learning, which generate, create and support positive innovative and competitive learning experience to facilitates outstanding intellectual performance”. To serve as an intellectual resource of excellence base in India to excel in education.To be an academic institution of first choice that transforms the face of business world towards betterment. 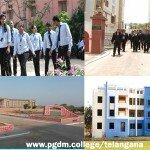 “Achieving and sustaining Dynamism in providing Exemplary Education, Training, Research, and consultancy in the field of multi-facet of discipline education by creating and fostering a conclusive live environment to develop the intellectual capacity, critical thinking, creativity and problems solving ability. So that students can compete, sustain and excel in the modern world with great potential and sincerity”. To serve as an intellectual resource base in India, maintain the standards of excellence in every aspect its operation, and become a role model for newly emerging centres of quality education. Our objectives in higher education are not only to promote equality and social justice, but also provide the right kind of work ethos, professional expertise and leadership in all works of life. Above all, our Endeavour is to foster Society generally, integral development of values inherent in physical, emotional, rational, aesthetic, ethical and spiritual education. To hone analytical and problem-solving skills using modern day managerial tools to enhance decisions making and operational capabilities. To impart skills and knowledge in functional areas of management with the objective of preparing students for cross -functional positions in industry. SSIM’s two-year PGDM (Post Graduate Diploma in Management) programme is designed to prepare students to work for top organizations, across various functional areas. The program equips students with strong modern conceptual skills to manage businesses in an integrated manner. The emphasis is on developing a holistic manager with a vision to take on the challenges of the future in a socially sensitive manner. The program is approved by AICTE, Govt. of India. The SSIM brings you an experience of par excellence. our prime objective is to impart quality education that nurture modern business managers and leaders to serve relevant industrial and social sectors. The SSIM is committed to promote highest quality of infrastructure and required conducive environment through selective fields of higher technical education.Provide world –class management education in India in an atmosphere of freedom, while adhering to strict standards in research and teaching. Communicate and implement a strategic vision of business, technical knowledge and a global outlook by bringing together distinguished scholars from the world’s most reputed institutions.Focus on the education and continued development of business leaders and, in particular, senior management.Place special emphasis on human, cultural and ethical aspects of the business profession. 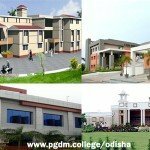 The PGDM program has been offered with the following objectives. To build awareness about the socio-economic environment, both domestic & international and its implications for businesses. To hone analytical and problem-solving skills using modern day managerial tools to enhance decision-making capabilities. To impart state-of-art skills and knowledge in functional areas of management with the objective of preparing students for cross-functional positions in Industry. SSIM Dwarka is geared to meet the changing human resources requirements of country. 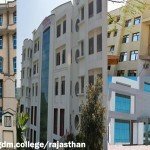 The College buildings, hostels, workshops, laboratories, libraries, playgrounds and gardens are laid out by architects, academician and educationist rendering the premises a right place for living, learning and working. 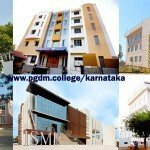 PGDM at SSIM College Dwarka is not only rated as one of the Best PGDM program in Delhi, but also as an innovative 2 year course which provides global perspective to ots students. 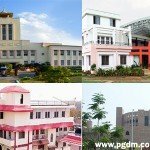 PGDM at SSIM Dwarka in Delhi is meant to help students develop and apply creative problem solving , critical reasoning and strategic thinking skills to learn about global economic principals, strategic business issues, organisational management and the realities of the competitive marketplace. 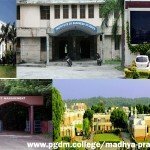 PGDM programme is designed to develop students with the breadth of vision ,knowledge, skills and attitudes required to succeed in the careers of the 21 st century business leader.Our PGDM programme gives emphasis to industry and business environment analysis, strategic management / current management, practical training and application strategy. We believe in imparting the students with strong fundamental and conceptual skills and developing their managerial capabilities. Accordingly, the learning process involves a mix teaching techniques and self-learning exercises including Classroom Lectures, Case analysis, Field Studies, Seminars, Simulations, Group Projects, Role Playing and Independent Projects. These varied teaching styles provide a platform where the students can learn by active interaction in the class as well as through participation in various practical exercises. Our curriculum is based on the latest management practices keeping in mind the current business scenario. The present developments in each of the specific areas are discussed, using articles and research papers from reputed, national and international journals. We also lay a strong emphasis on project work, which requires extensive in-depth research and field work. Regular presentations by individual students and groups are conducted; which help in enhancing communication skills and also lead to self-growth and personality development. Continuous evaluation through assignments and quizzes helps fine-tune the concepts already learnt. Eminent personalities from industry are regularly invited to deliver lectures on different contemporary issues and provide an insight into the corporate world. Specializations: Marketing Management (MM), Financial Management (FM), Human Resource Management (HRM), Information Technology and Operations (IT & O) with option for Dual specialization. The Programme has been organized I two years first and second year, each comprising of two semesters. The two-year course has been split over 4 semesters. The students will have to study 36 papers in all and 9 papers each in all semesters. The III and IV Semesters will have dual specialization subjects as well. Our PGDBM programme has been carefully designed to ensure top quality education. Through this programme we aim to provide our students with a detailed academic understanding of the various areas of management, while actively nurturing their overall growth through various personality development and corporate interaction programmes. Additionally, we also have various student-led business and cultural activities which play an important role in developing team-work and leadership abilities. The highly acclaimed Academic Advisory Council ensures that the course content for the post graduate programme is regularly reviewed by top academicians and corporate managers in India and abroad to inculcate the latest business concepts, case studies and technologies into our curriculum to equip our students with the necessary skills to make a difference in the constantly changing business world. In the initial part of curriculum, we focus on providing an in-depth understanding of core areas of Management. This is important keeping in mind the diverse academic and cultural backgrounds of our students. Once the students have developed a basic understanding of the functional areas of management and supplemented it with practical exposure to the corporate sector by means of an internship, we assist students specialize in their particular areas of interest through a comprehensive list of electives. We strongly believe that the development of knowledge is not just a discipline or a function, but a mindset, a way of approaching all endeavors and attaining skills that will help in long term success. Our comprehensive set of elective courses, in conjunction with the core curriculum and various personality grooming activities allow our students to hit the ground running after graduation and keep that pace for the duration of their careers. On completion of 1st year, students are required to gain hands-on experience in the application of core concepts and functional skills. This practice of ’Learning by Doing’ helps the student relate the rigor of theory in the world of business. The students work on projects as per the specification of the company. At the end of eight to ten weeks of such a closely guided project, under the supervision of the company executive(s), they submit a report to the company and the Institute. The concerned company executive normally provides feedback to the Institute on the student’s performance. Successful completion of Summer Internship is an essential requirement for the award of the SSIM Diploma. Faculty at SSIM enjoys academic freedom to adopt appropriate pedagogy for imparting education. Pedagogy would be a combination of lectures, case discussions, presentations, assignments and project work. The primary emphasis would be on interactive and participative methods of learning. Faculty for the program is primarily in-house from SSIM but may also include Adjunct or Visiting faculty. Guest lecturers from industry practitioners are also organized to expose students to the current business environment and practices. 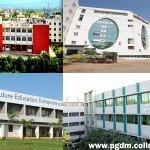 Classes for the PGDM program are held every day starting at 9.30 am and can extend up to late evening hours, including weekends, to suit the requirements of the program. Each class is of 60 minutes duration. Attendance in all classes is compulsory. Spacious class-rooms with well equipped LCD projector, white Boards and PH system etc. make classroom an engaging and unique experience for all students. Conference hall provides condusive environment for conducting events like conferences seminars workshops debates quiz meetings etc. Emphasis is laid on continuous evaluation of a students’ performance through the semesters, culminating in a Cumulative Grade Point Average (CGPA) score, over a 10-point scale, being award. Royal Bank of Scotland, ICICI Securities. Times Group,HT Digital Media, Capital IQ, SREI Group. Mancer Consulting,DLF, Prateek Group, India Bulls.